Chinese furniture: In this collection, order your furniture from china to the dimensions adapted to the interior of your home with 5 variants of shades possible. The reproductions of stacks of chinese presented in this category are handmade, most often elm or larch massive. The enthusiasm of the furniture chinese in Europe is not a recent phenomenon. 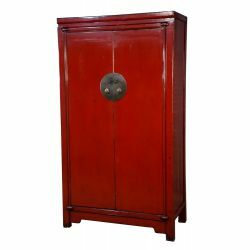 Chinese furniture and decorations in vietnam have historically inspired the european courts, painters, upholsterers... furniture in china are manufactured in a wide variety of wood species: mahogany, rosewood, elm, camphrier. 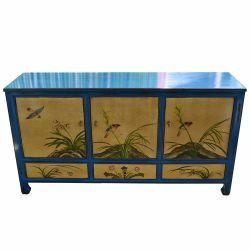 According to the regions of China the wood is lacquered or varnished. In Indonesia, the wood of sono klin recovery is most often used to make furniture way rustic. Chinese furniture reproduction There are 5 products. Libraries and shelves custom made. Secretaries chinese due to their large features offer a wide range of storage space. In Asia, the console is an integral part of the furniture. Customized: According to your desire, you will be able to control your console chinese whose dimensions are adapted to your interior with the possibility of 5 variants of colours, red, yellow, black, blue and natural wood. We will inform you when a free quote without commitment on your part. For the realization of this quote you must contact us at the following number : 04 75 47 49 96 or by e-mail : boutique@labaiedhalong.com do not forget to indicate your name and your contact information. Customized: According to your desire, you will be able to order your TV stand from china to the dimensions adapted to the interior of your home with the possibility of 5 variants of colours, red, yellow, black, blue and natural wood. We will inform you when a free quote without commitment on your part. For the realization of this quote you must contact us at the following number : 04 75 47 49 96 or by e-mail : boutique@labaiedhalong.com do not forget to indicate your name and your contact information.